Use AMBOSS to help you pass the NAC exam! The National Assessment Collaboration (NAC) examination is the official examination required to apply to a Canadian residency program. The NAC exam is a standardised examination that evaluates the clinical knowledge and clinical skills to enter into postgraduate training in Canada. We believe you can pass both with the help of AMBOSS. 40+ high-yield cases in exam format. 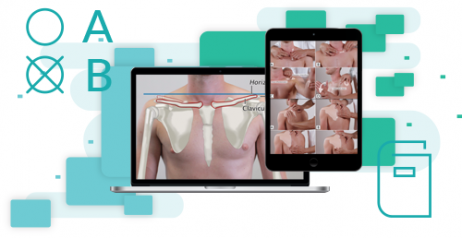 Multimedia including illustrative images, instructional videos, and photos of patient simulations. Detailed checklists – focused history, focused physical examination, and communication & interpersonal skills – to measure your performance for prioritising diagnostic or problem lists. Step-by-step guides and flowcharts for focused physical examinations. A flexible, interlinked interface that always allows you to access more information on terms or topics as needed. Side-by-side comparisons of patient notes. Differential diagnosis tables sorted by chief complaint. Study on-the-go and offline with the AMBOSS apps for Android and iOS. Should you have any questions, we are always happy to answer them at hello@amboss.com.